Tampa Bay truly is an amazing place for kiteboarding. 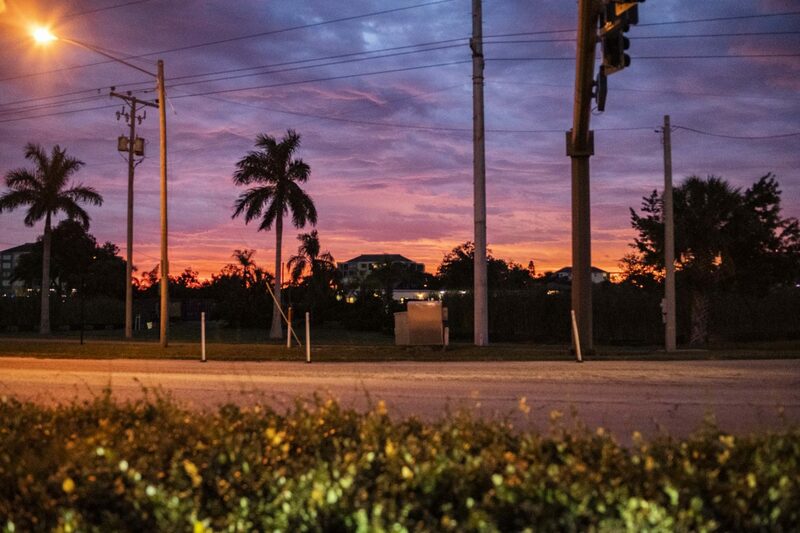 Choosing our favorite kiteboarding spots in Tampa Bay depends a lot upon what our goals are. Are you learning how to kiteboard? Wanting to foilboard? Or do you want a nice grassy park to launch and land from? *** Keep in mind wind direction and tide play a vital role to each kiteboarding spot. Fort Desoto East Beach is our favorite place for kiteboarding in the Tampa Bay area. There’s a sandbar a half mile offshore that runs east to west that protects the shallow, flat waters. The predominant wind direction is a NE wind and when it is NE the wind travels sideshore. Since the launch area is long and with a sideshore wind, you can have multiple people out on the water kiteboarding and it won’t feel crowded. Theres minimal obstacles on and off the water. Whether you’re learning how to kiteboard, wanting a safe place to learn new tricks or just want a beautiful place to ride, Fort Desoto East Beach is it. Difficulties: Foilboarding is difficult here since the water is so shallow. Fort Desoto North Beach is nice if the wind and tide are right. The place thats truly amazing is the island off north beach. You can get to it if you walk all the way up north beach then tack upwind, which can be difficult if the tide is coming in. The best way to access the island is by boat or jetski. Once you’re there, you can kite in butter flat, waist deep water. It truly is a world class spot. Lassing Park is a fantastic place to kiteboard with the beautiful scenery of Downtown St Petersburg. A sandbar protects the shallow bay keeping the water calm even on windy days. The nice part of Lassing Park is launching, landing/ packing up on grass, no sandy gear! Enjoy a burger and beer at a favorite local restaurant, Chattaways. The Skyway Bridge East Side is one of the most popular spots for kiteboarding in the Tampa Bay area. 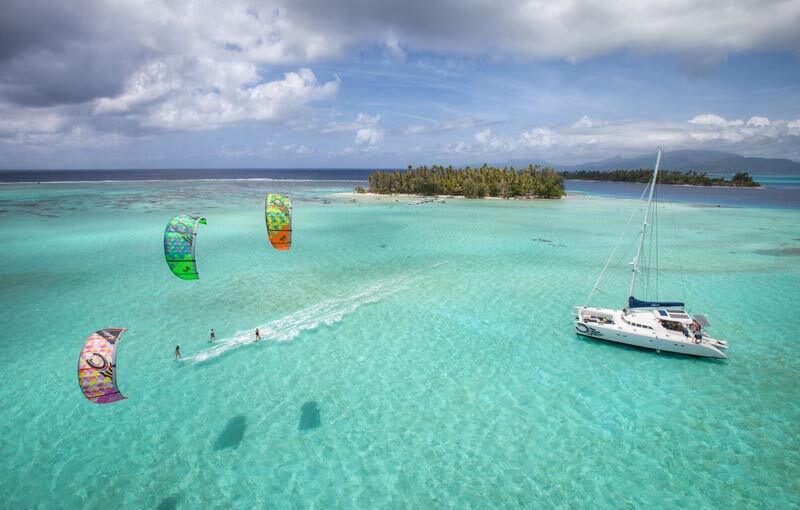 There’s shallow, calm water on one side that makes it perfect for learning how to kiteboard and deeper waters on another side that’s perfect for foilboarding. The launch area is big and easy to get to. 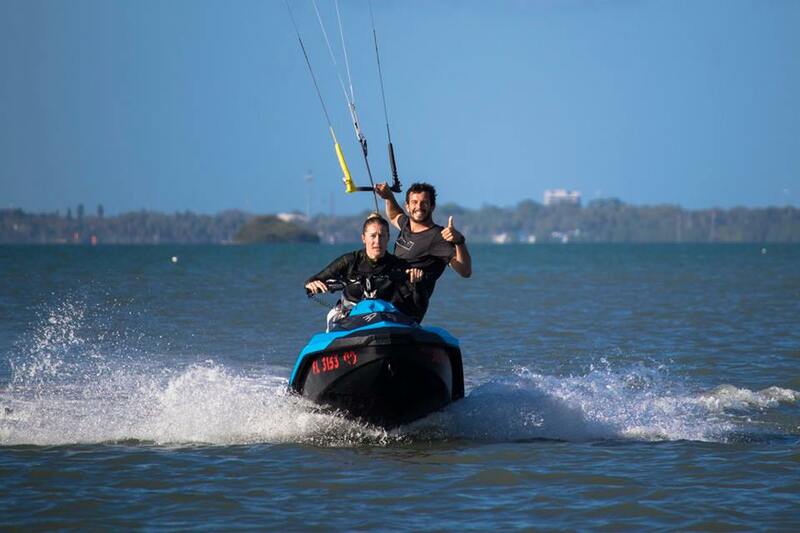 There are so many kiteboarding spots in Tampa Bay! Since St Petersburg is shaped like a peninsula we can kiteboard on any wind direction. Some days we like combining our favorite spots by doing a downwinder or kiteboard from one spot to another. If you want to join us for a downwinder or take a trip to any of these spots, shoot us a message below!